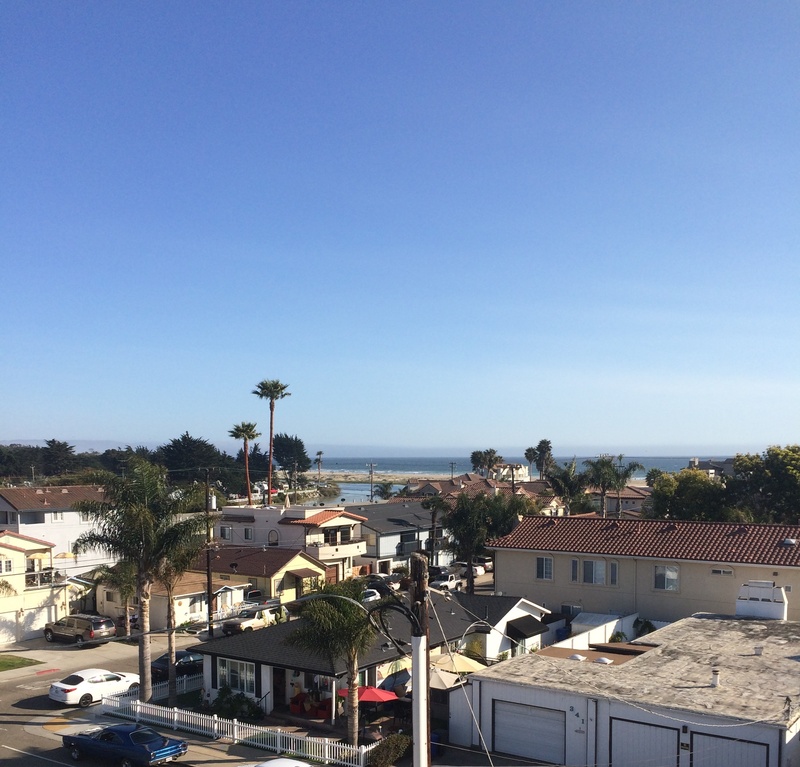 As I mentioned on Tuesday, I was able to take a quick getaway to Pismo Beach to visit my sister and her family. I visited Pismo Beach once before with the husband. We absolutely loved it last year and the second trip did not disappoint. My sister and her family were visiting for vacation for the week so it was a perfect place to meet up with some of my favorite people. I headed out to Pismo on Sunday afternoon. Unfortunately being Father’s Day I hit a ton of traffic. A normal 3 1/2 hour trip took me a little over 5 hours. Luckily the drive along the coast once you past the city makes for beautiful scenery. My sister was staying at a condo right in the center of town, 2 blocks from the beach. The view was perfect. Add in my adorable niece and nephew (seriously could they be any cuter?) and I was happy! After getting a tour of the place and unpacking, we walked up the street to an Italian restaurant (Rosa’s) for dinner. I did not take a single picture at dinner (#majorbloggerfail) but the food from start to finish was to die for. Warm fresh bread, creamy minestrone soup and an order of half cheese ravioli / half spaghetti with a glass of Moscato. It went from a comfortable 75 degrees to a very chilly 60 degrees the second the sun went down. We grabbed jackets and walked off our dinner to visit some friends of the family. We finished the night off with yummy ice cream sandwiches from the gas station (because we are classy like that). 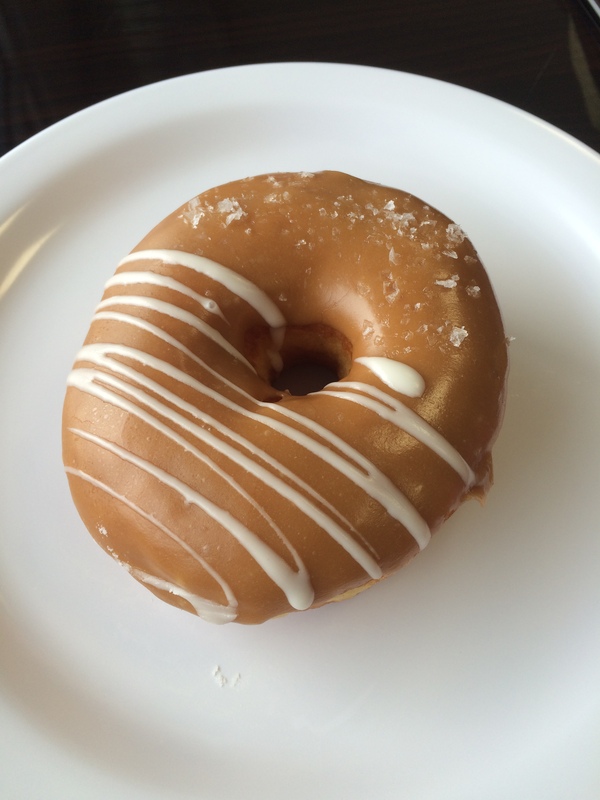 Monday morning started with the breakfast of champions: DONUTS! 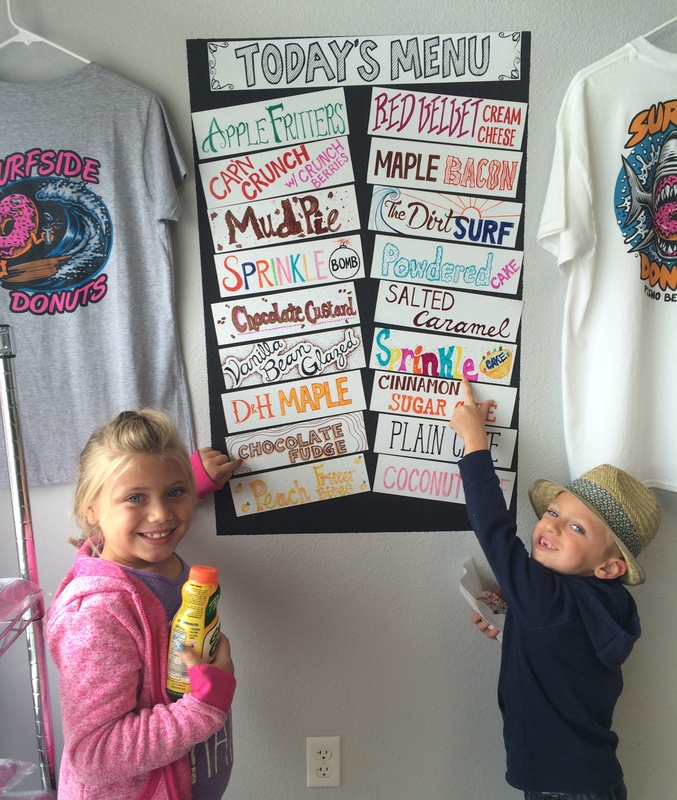 These weren’t just any donuts, they were Surfside Donuts. I will even make the bold statement to say they might have been the best donuts I have ever had.. yep, even comparable to my favorite Krispy Kreme. I ordered the Salted Caramel as I am sucker for anything caramel. The kids had the Sprinkle Bomb & Chocolate Fudge. I also picked up a Mud Pie & Maple Bacon for the husband. After our donut stop, we made our way to the beach to soak up the sun. The beach was fairly empty so we started by collecting sand dollars & seashells as well as building a sand castle with the kids. 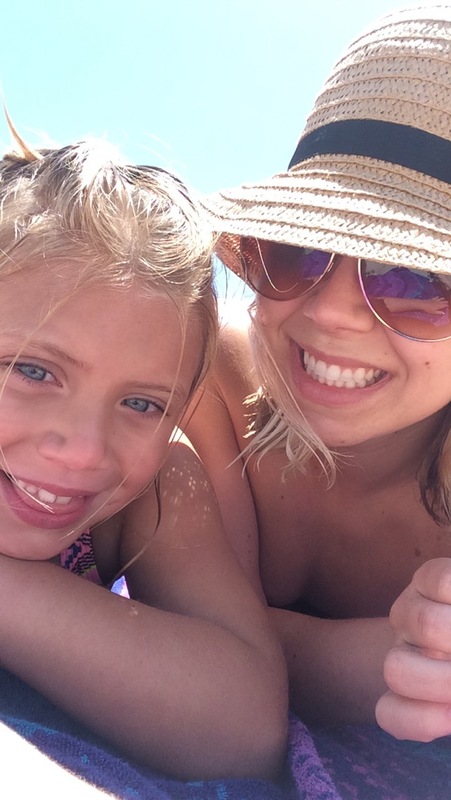 It was such a nice day laying on the beach catching up with my sister while watching my niece and nephew learn to boogie board. Another highlight of our beach day included seeing many whales out in the ocean. We kept stating how we got a free whale watching trip with our beach day. The sky was blue without a single cloud until around 2pm when the wind started to kick up. We packed up our stuff to head back to the condo to sit in the jacuzzi, Our “linner” was from the delicious Splash Cafe. 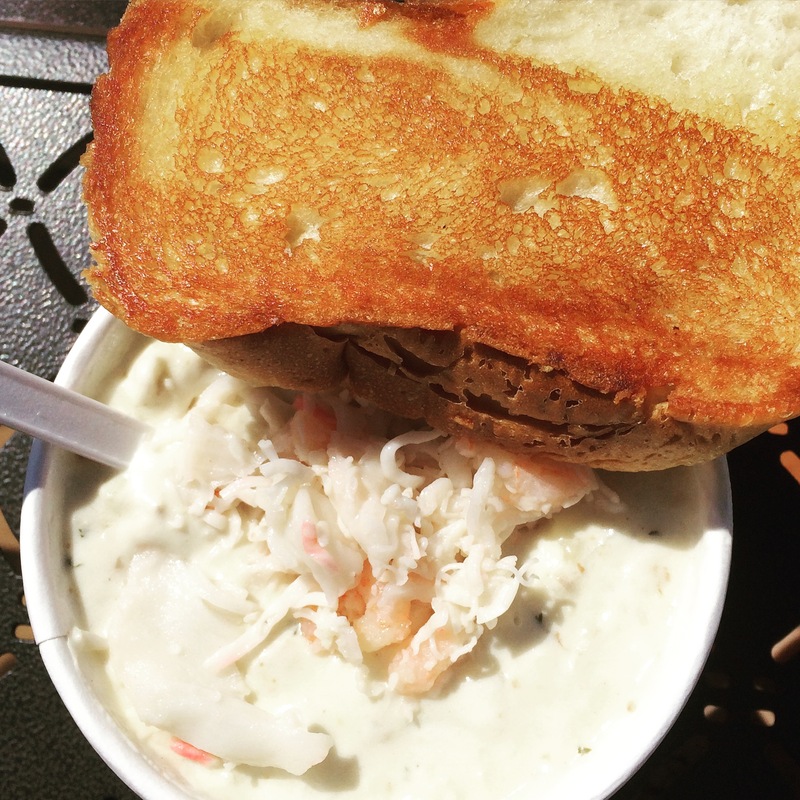 Creamy clam chowder with crab and shrimp on top accompanied with buttery warm bread. Talk about super rich and worth every calorie- there is a reason their chowder is world famous. Usually the line is out the door and around the building but we were able to walk right in without a wait. In the evening after watching Jurassic Park (I forgot how good the first one is), we drove down to Avila Beach to finish off the evening. 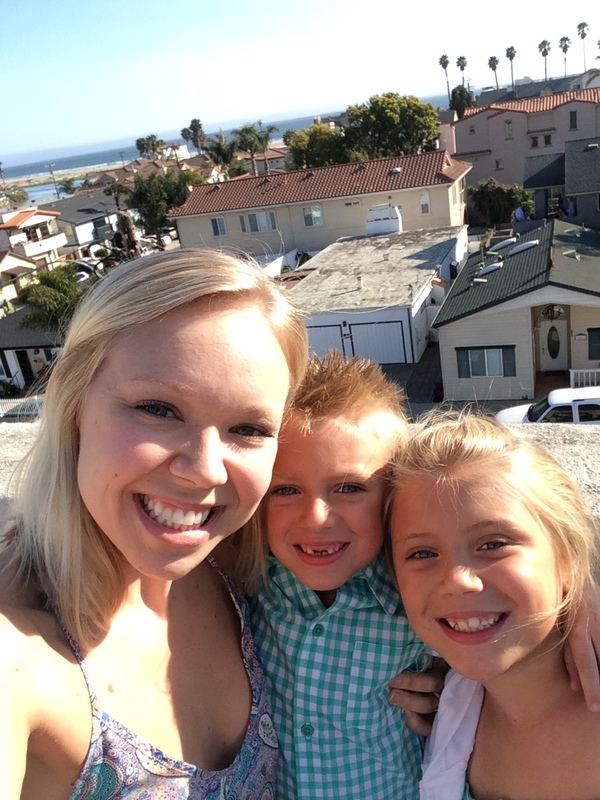 I headed out late Monday evening, sad to leave my sister and her family but happy for the wonderful trip to Pismo. Luckily my sister and I have a concert this Saturday so it will be only be a few days until I see the family again! Tell me: Would you rather go to the beach, desert or mountains for your vacation? Missed previous Travel Thursday posts? Check out #1, #2, #3, #4 and #5! This entry was posted in Domestic, Travel, Travel List, Travel Thursday, Traveling, Wanderlust and tagged Domestic, Travel, Travel List, Travel Thursday, Traveling, Wanderlust. Bookmark the permalink.